Teaching is one of the most powerful ways to affect change in the lives of those you teach. In South Dakota, teachers have the power to mold the lives of future leaders. The following steps will help guide your journey toward becoming a teacher in the state of South Dakota. First, you need to decide on what grade or subject you want to teach. Do you see yourself thriving in an elementary school environment? Perhaps you feel called to teach high school or special education. Whatever you decide, it is a good idea to answer this question before moving on to the next steps. Some requirements will change according to the area you want to become certificated in. 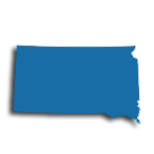 The South Dakota Department of Education spotlights information on districts, schools, teachers, and students in the state. In South Dakota, the basic education requirement one will need to meet is the possession of a Bachelor's Degree. In addition to a Bachelor's Degree, teachers need to complete a State Board-approved teacher preparation program. The program focuses on whatever area an individual wants to become certified to teach. Often, teacher preparation programs are blended with a Bachelor's Degree program. Blended programs are for individuals who know from early on that they want to become a teacher. If you already have a Bachelor's Degree, you will be able to complete a post-baccalaureate or alternative teacher preparation program. A school counselor or advisor can help make you aware of what options are available at your institution. Educator preparation programs are usually structured on a combination of college coursework and fieldwork. College courses in the program usually cover subject-based teaching methods, differentiated instruction strategies, assessment measures, classroom management, and integration of technology. Fieldwork is generally a combination of classroom observations and student teaching. Student teachers work in real classrooms for a set amount of time under the supervision and guidance of a certificated teacher. During your time as a student teacher, you will work with a mentor teacher to prepare and implement lessons based on the needs of your diverse student population, grade assignments, and communicate with parents. If you have already earned a Bachelor's Degree in an unrelated field, you can complete a post-baccalaureate or alternative teacher preparation program. Several institutions of higher education even offer joint Master's Degree and teacher preparation programs. Inquire with a program advisor or counselor. Teacher preparation programs can be done online or at a school campus. In order to qualify for certification, the teacher preparation program must be approved and accredited. There are other routes to teacher certification in South Dakota if you have a Bachelor's Degree in an unrelated field, or if the above route does not work for you. The alternative certification process in South Dakota is administered by the Department of Education. This program is only applicable to content areas issued at the approved education program level. At this time in South Dakota, elementary education programs are not available in the alternative certification process. The alternative certification program include on-the-job classroom training,mentorship, orientation, and credits hours in educational pedagogy, human relations, Indian Studies of South Dakota, and state Praxis II examinations. Online certification programs for secondary educators have been established through a partnership with public universities. Through this program, courses will be taken online while field experience requirements will be fulfilled in your local community. Admission will be completed through the university of your choice. The next step to becoming a certified teacher in South Dakota is to pass the required test(s). Beginning teachers and teachers without prior teaching experience must pass one of the Principles of Learning and Teaching (PLT) tests along with the appropriate content area test. Individuals requesting certification are required to take the Praxis II tests as part of the certification process required by South Dakota. Some colleges or universities may ask that required tests are passed before entering or exiting a teacher preparation program. Check with a program advisor to see what is required of you. Finally, you will be prepared to begin your career are a certified teacher in South Dakota. You will be ready to become an educator who has the capacity to impact future generations. Given that South Dakota's schools are currently experiencing high need for qualified teachers, South Dakota is a great place for new teachers to get a job and valuable experience. As incentive to candidates, South Dakota teachers who meet state criteria can apply to have school loan deferment or forgiveness under applicable guidelines. Current shortages extend to subjects like art, technical education, English, health, music, physical education, sciences, and special education. These shortages exist from kindergarten to grade 12. To apply for specific available teaching positions in the state, candidates are encouraged to visit the Teacher Placement Service run by the Associated School Boards. The state offers a comprehensive benefits package for working teachers and their families. Upon retirement, teachers are able to begin drawing from their mandatory pension contributions made and managed through the South Dakota Retirement System (SDRS). Please note that the amount of monthly pension varies according to individual factors. Teachers will find that their labor union, the South Dakota Education Association (SDEA), will support teachers through their career and into retirement. Teachers who prefer the private school environment can apply to any of the state's 86 private schools. Private schools often host smaller class sizes and more rigorous curricula. Although private schools are not mandated to hire only licensed teachers, many schools prefer to do so. Often times, salary, benefits, and working conditions may vary from what the public school system offers. The table below lists the number of public school teachers in South Dakota by grade level during the 2012-2013 school year. There are more than 70 private schools with an estimated 900 private school teachers in South Dakota. The table below details the number of teachers by grade level during the 2011-2012 school year. Ongoing professional development goals for teachers may seem excessive to those outside the profession, but really, high-quality courses and seminars to help teachers improve their practice has implications far beyond the classroom. There is mounting evidence that shows the more professional development that a teacher engages in, the better student achievement is in their classroom. High-achieving students continue in school longer than their peers and impact their communities in positive ways. The state of South Dakota's Department of Education makes an effort to support their teachers' professional development needs. One can look a national Department of Education's Calendar of Events and Registration site to see a diverse array of high quality offerings given. These offerings may be online or through a variety of school and Department of Education sites in major centers throughout the state. Additionally, the state Department of Education endorses national opportunists like the annual Beyond School Hours Conference. For more information about professional development opportunities in South Dakota, teachers are asked contact their school district staff. While a master's degree isn't required to teach in South Dakota, hold one, either in education or in the specific subject you're licensed to teach, and you'll be eligible to earn an Advanced Teaching Certificateand the simplified renewal requirements and salary perks that accompany it. However, after five years of experience, you can apply for an Advanced Teaching Certificate if you've earned either National Board certification or an advanced degree in an education-related field. Apply for an Advanced Teacher Certificate through the South Dakota Department of Education. While educators in South Dakota with Professional Teaching Certificates must complete at least three transcripted or specialized learning experience hours if they renew based on continuing education, educators with Advanced Teaching Certificates can complete any combination of continuing education credits, with no transcripted or specialized learning experience requirements, if they renew based on continuing education. Read more about education-related credit requirements here. Perhaps more importantly, though, earning a master's degree in South Dakota will allow to enhance your knowledge and skills, prepare for leadership roles, and position you for better pay. For example, a 2013-2018 agreement between the Sioux Falls School Board and the Sioux Falls Education Association revealed a significant salary difference between bachelor's and master's-prepared educators. Bachelor's-prepared educators with between two-three years of experience can earn a maximum of $37,652 here, while master's-prepared educators with the same experience can earn a maximum of $52,305. Similarly, a 2018-19 agreement between the Brookings School District and the Brookings Education Association revealed that bachelor's-prepared educators with three years of experience earned a minimum salary of $38,356, while those with master's degrees earned a minimum salary of $41,349, a difference of nearly $3,000.